An International Quality Car Duster used for cleaning the car within minutes. The Duster consists of 100% wax-treated cotton strands. This technology magically boosts the Duster to lift the dust without scratching the car’s surface. The heavy duty mop-head results in looking the car just washed thereby reducing the number of car washes. A complete water saver product. This car duster by Jopasu will solve most of your issues of accumulated dust on your car. The cleaning head features wax treated cotton threads that trap more dust without leaving any scratch marks and is also easily washable. Its long handle helps to reach difficult areas on car tops and curated handle allows for comfortable grip while cleaning. With this product, your car cleaning task is going to be a cake walk. The duster also comes with a bag for easy storage. The duster features cotton strands that have been treated with wax for an extra smooth coating. It cleans dust more efficiently and leaves no scratch marks on the surface. The mop at the head of the duster is washable. This allows easy removal of collected dust and debris, so that the next time you have to dust your car it is as fresh as a new one! The duster comes with a long plastic handle that allows you to easily dust even the middle of the car’s roof. Besides, design of the handle allows for a comfortable grip that does not leave one with painful wrists after long sessions of dusting. A storage bag is included with this duster from Jopasu. It is opaque in nature and allows for easy storage. Keeping the duster inside the bag keeps it clean and prevents dust contamination of other objects. Sturdy construction of the mop makes for a prolonged service life. The plastic handle does not suffer from easy dents or cracks because of this sturdy and durable construction. 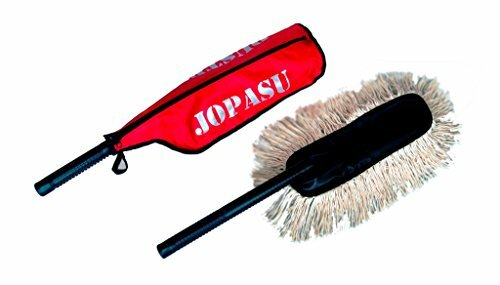 Jopasu Car Duster does not require use of water or soap or detergents. Simply wiping it across the surface gathers and waves off the accumulated dust. 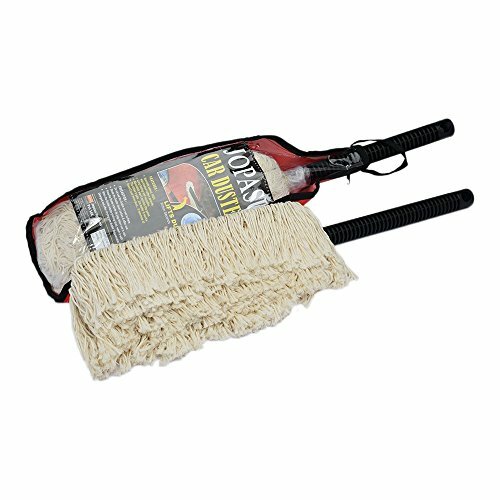 Therefore, if you are looking for easy cleaning of your car, this duster is ideal for you. Good duster does very easy to use and store.Saves ur previous time and money by eliminating the need to wash ur car every other day. I can thoroughly clean my car in just 4- 5 min.Con: Good only for dry dust . Not suitable for Water/mud stains and bird dropping. Buy it right now. That’s all I can say. Really good static that removes dust particles effortlessly. But the effectiveness lasted only for 3 months instead of the company claimed 6 months. this is very useful, you dont need to wash your car frequently, this will absorb the dust well. and this is washable and easy maintainable. felt cost is higher. This one is a show stealer… Does the job really well… easy to hold… Easy to use… Picks-up the dust like magic. 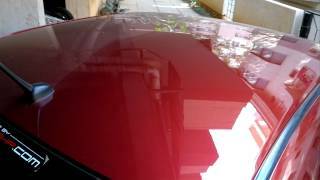 Very effective to clean dry dust… Not for spots/wet patches/car coverd with dew in winters. Superb, Excellent, Fantastic and more u can speak out about it. This is my second purchase.I m using it since last August.it only takes 5-10 minutes to clean my black car to it’s optimum level .Never wash it even if it looks extreme dirty and enjoy it for at least 10-12 months.